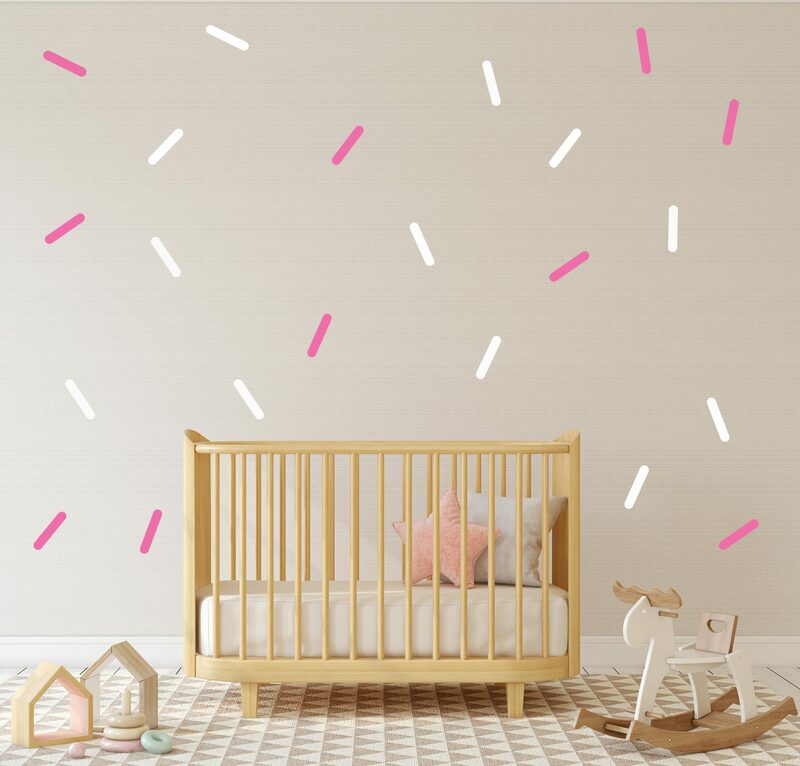 Spice up your walls (or any other smooth, flat surface) with cute Confetti Wall Decals/Stickers. Perfect to enhance an already modern playroom, nursery or teenage bedroom for a stylish look. These come in two colours but if you would like one colour just select two matching colours! See the colour chart for your options. Please text the size in the comment box during the checkout process. We want you to be completely happy with your purchase! If for whatever reason you are not satisfied, the item can be returned for a full refund minus the shipping charges. Returned items must be in original, unused condition.